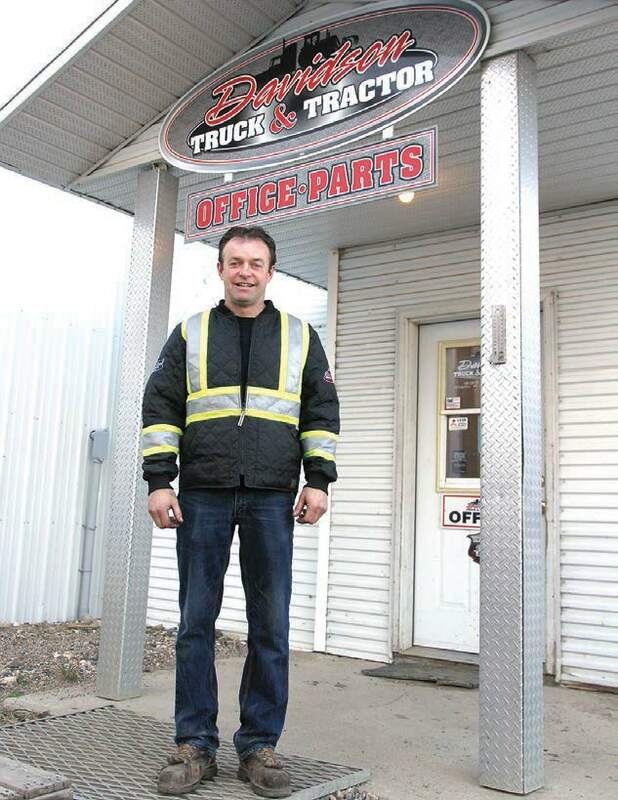 When Todd Davidson started fixing heavy trucks on his own 13 years ago, he had no idea what the future had in store for him as a private business owner. “I just kept getting busier and busier and I had to hire more people to keep up with the work,” says Davidson. Today Davidson Truck and Tractor in Moosomin is what most would consider to be a true smalltown success story. Davidson started with a 2,500-square-foot workshop on Highway 8, and just himself as an employee. “Within a year I had to hire another mechanic and a parts person to keep up with the work, and it just kept going from there,” he says. Davidson now has 12 staff, and has completed three major additions at his location on Highway 8. He now has 6,500-square feet of shop space, a cold storage building, and is in the process of completing a 5,000-square foot parts department and office building, which should be up and operating this month. When it comes to trucks, there’s not much that Davidson Truck and Tractor doesn’t do. “Our main service is work on highway trucks and tractors,” says Davidson. “The next biggest thing we do is provide towing services. We’ve got three tow trucks and a truck and trailer for recovery with a winch. “We also have two mobile service trucks so we can go out on the road or go out to a farm or another location and bring the appropriate parts. If you cant bring it to us, we can bring it to you. 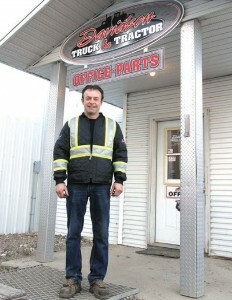 Davidson Truck and Tractor is one of the only businesses of its type in the Moosomin area. Davidson says most full-service heavy truck companies are located in the cities, which means he serves a wide area around Moosomin, with calls coming from as far as an hour away. “We’re far enough away from the major centres that we can sustain our business and we don’t have the big trucking companies or the major manufacturers looking to set up shop here,” he says. Davidson says there’s still lots of potential for growth. “When I first started, farmers would have one semi tractor, and some of them wouldn’t even have that.Now some of my bigger farming clients have almost 20 trucks. “One of the biggest changes is that my customers have more equipment to service than when they started. And that’s changed my business because if they didn’t I’d still be by myself. There’s more of a demand for this type of business. “I want to see the business continue to grow and continue to be competitive. Hopefully I can find ample staff. I want the business to continue to grow in every aspect. “I think it is going to grow. The farmers are going to continue to haul their product and there’s more trucks on the highway transporting goods. What does he enjoy about the business? “I enjoy the customers and my staff. Why Choose Davidson Truck & Tractor?